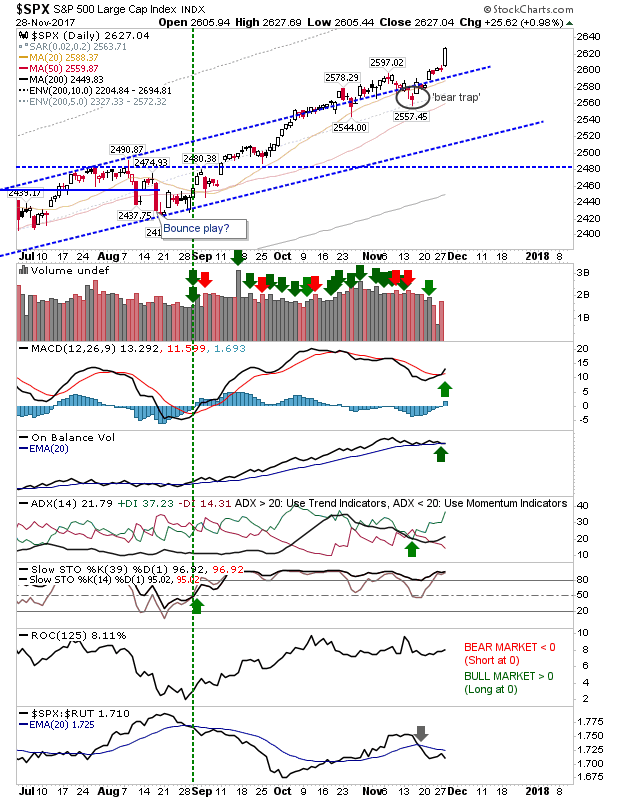 In the end, it wasn't Tech to surprise with an acceleration past its bullish rising channel but the S&P and Dow with fresh breakouts. A confluence of positive data fueled the advance in Large Caps along with a dollop of short covering. 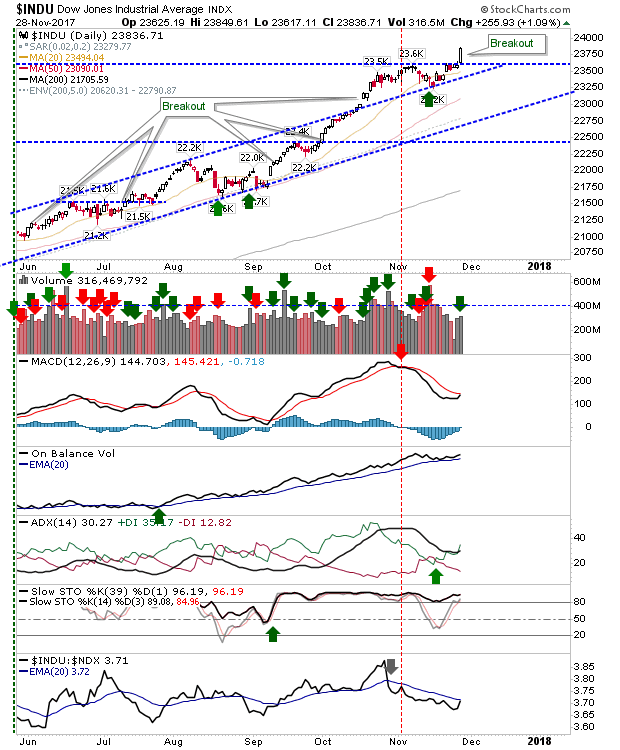 Tuesday's action ranks as a breakout in this indices and brings into play new support levels should profit-takers come in to take advantage of the gains. The only downside for the S&P was the continued downtrend in relative performance against Small Caps - suggesting the real money is flowing into more speculative issues. 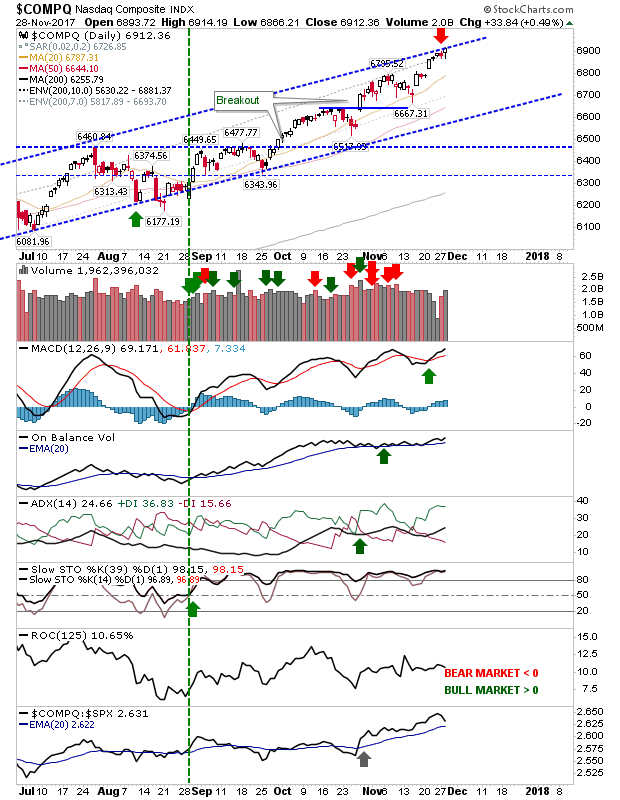 The Dow managed a more traditional breakout but gains were not enough to see a new MACD trigger 'buy' but it did see a relative performance gain against Tech Stocks. Price action is to be respected and this could mark a new upward channel. This just leaves the Nasdaq and Nasdaq 100 which had a quiet day. Given the action all around it was non-event for the Nasdaq. Oddly enough, despite the gains elsewhere and the fact it was nestled against channel resistance it still wasn't able to breakout. Shorts may yet get something out of these indices. 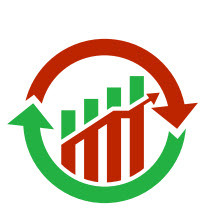 For tomorrow, watch for premarket action. 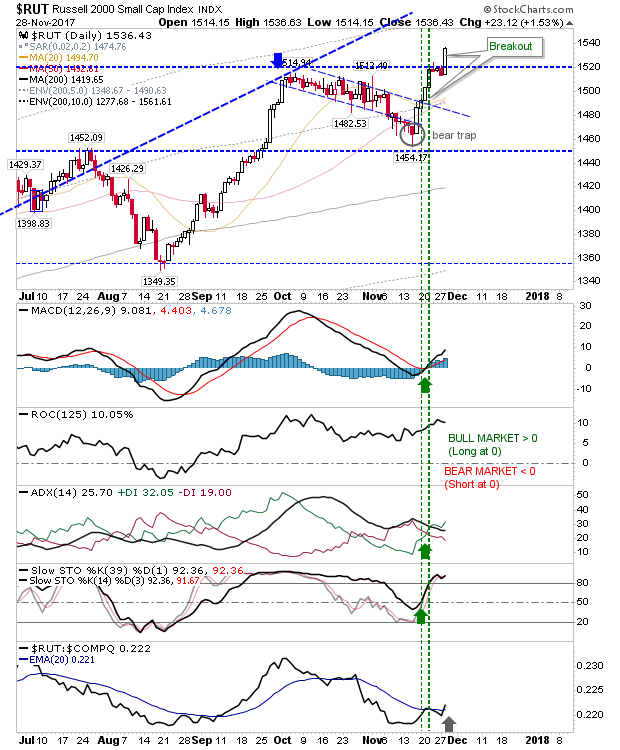 Any weakness will open up a shorting opportunity in the Nasdaq and Nasdaq 100. While a positive open won't be an attractive short term play given today's gains the Russell 2000 is perhaps the best long play given the 'surprise' reaction.